Science education reformers have suggested that engineering be introduced into the K–12 curriculum. They argue that engineering activities and lessons can help students apply science and math content in real-world contexts and gain insights into the professional activities and goals of engineers. But does adding engineering to the curriculum actually work as advertised? Berland, Steingut, and Ko explore these expectations. This paper characterizes students’ participation in and understanding of the engineering design process (EDP) and how it creates—or reduces—opportunities for students to apply math and science content. The authors used UTeachEngineering’s curriculum Engineer Your World to examine student understanding of EDP. Their paper also reflects on the implications of their findings for engineering curriculum design and implementation. These steps are tied to the National Research Council’s (2012) K–12 framework for engineering practices. Interviews with a small group of students who were chosen based on their availability and willingness to participate. The research team examined 179 student questionnaires, which they used to formulate hypotheses about students’ understanding of the EDP and to generate new questions to ask the students. The researchers then interviewed 16 students to dig deeper into these issues. Finally, the research team correlated questionnaire and interview responses so that each data source could inform the interpretation of the other. The results they present are based on findings that were consistent across the questionnaire and interview data. In general, the researchers found that students were more familiar and comfortable with the qualitative aspects of the EDP than the quantitative ones. The first step in the EDP, defining the problem, includes both qualitative and quantitative dimensions: both identifying the problem or need and then describing it in scientific terms—that is, “characterizing and analyzing” the system. The questionnaire data suggest that most students were aware of the importance of identifying the problem. However, very few explicitly included the “characterize and analyze” sub-step in the problem description. In the interviews, the research team found that most students did not have a clear understanding of this step. The second step is developing and then choosing between many possible solutions. Most students seemed to value the part of the step that involved brainstorming and generating ideas. But the students did not then proceed to using a rigorous systematic method to choose among the ideas; instead, most relied on combining ideas or going with gut feelings about which one would work best. Many also considered this to be the least useful step of the EDP; they believed that one viable concept was all that was needed. The third step of the EDP is quantitative modeling and data analysis. Data analysis suggested that most of the students did not consider mathematical modeling to be an important step in characterizing the system they were working on. The final step in the EDP is iteration. Both the questionnaire responses and the interviews suggested that students viewed iteration as an important step. However, they appeared to view it as a way to tweak or fix their design idea if they encountered problems. They did not extend iteration to include generating or selecting new solutions. Other studies (Ullman, Dietterich, & Stauffer, 1988) indicate that professional engineers also sometimes simply make “patches” rather than finding a stronger solution. But this haphazard trial-and-error style of iteration is the difference between novice engineers and more expert engineers, who would revisit their initial design, if need be, to find a better one (Ball & Ormerod, 1995). This study indicates that students understood and valued the aspects of the EDP that are not associated with math and science knowledge. For example, students paid attention to user needs and brainstormed multiple ideas. However, they did not value the quantitative steps associated with the EDP such as quantifying the need, finding rigorous ways to choose among potential design solutions, and developing mathematical models of the solutions. Existing research underscores that, although engineering can be a powerful means to help students learn and apply science and math concepts, achieving that potential can be difficult (Barnett, 2005). But research also shows that students are more likely to deepen their conceptual understanding when they see the designs and ideas under study as useful (Edelson, 2001; Kanter, 2010). 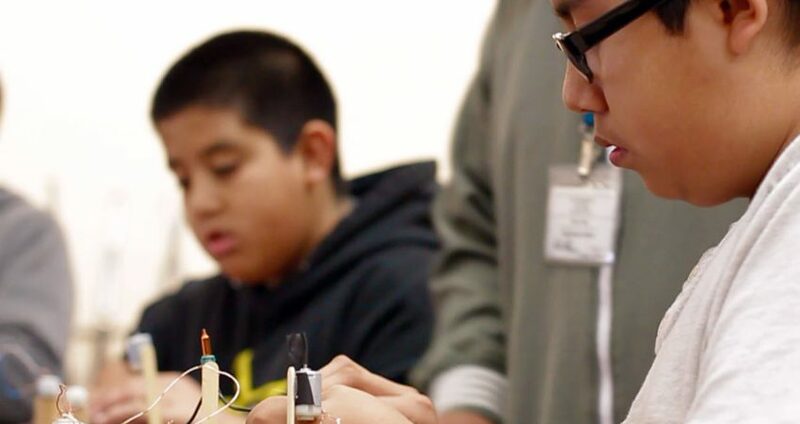 The challenge with including EDP in K–12 classrooms or afterschool programs is how to structure the learning so that students have opportunities not only to learn about engineering but also to explore and apply key math and science content and practices. To support math and science learning, educators who teach engineering and the EDP need to select or develop problems that compel students to engage with the quantitative aspects of engineering as well as the qualitative aspects. Ball, L. J., & Ormerod, T. C. (1995). Structured and opportunistic processing in design: A critical discussion. International Journal of Human-Computer Studies, 43(1), 131–151. Barnett, M. (2005). Engaging inner city students in learning through designing remote operated vehicles. Journal of Science Education Technology, 14(1), 87–100. Edelson, D. C. (2001). Learning-for-use: A framework for the design of technology-supported inquiry activities. Journal of Research in Science Teaching, 38(3), 355–385. Kanter, D. E. (2010). Doing the project and learning the content: Designing project-based science curricula for meaningful understanding. Science Education, 94(3), 525–551. National Research Council. (2012). A framework for K-12 science education: Practices, crosscutting concepts, and core ideas. Committee on a Conceptual Framework for New K-12 Science Education Standards, Board on Science Education, Division of Behavioral and Social Sciences and Education. Washington, DC: National Academies Press. Ullman, D. G., Dietterich, T. G., & Stauffer, L. A. (1988). A model of the mechanical design process based on empirical data. Artificial Intelligence for Engineering Design Analysis and Manufacturing, 2(1), 33–52.